The IT Krew: What is a PowerPoint and what you can do on it? PowerPoint PowerPoint is a software programs which is used to make presentations really attractive for the audience. It is an application which is often sold as part of the Microsoft Office suite. It allows you to produce slides intended for presentation to an audience. Each slide can include texts, images, animations, videos or sounds. You can produce a template or master slide' that contains common elements such as footers and headers. You may make your each slide from this master slides. When you create a presentation by using the PowerPoint what we can do is not limited, this program is made up from series of slides. 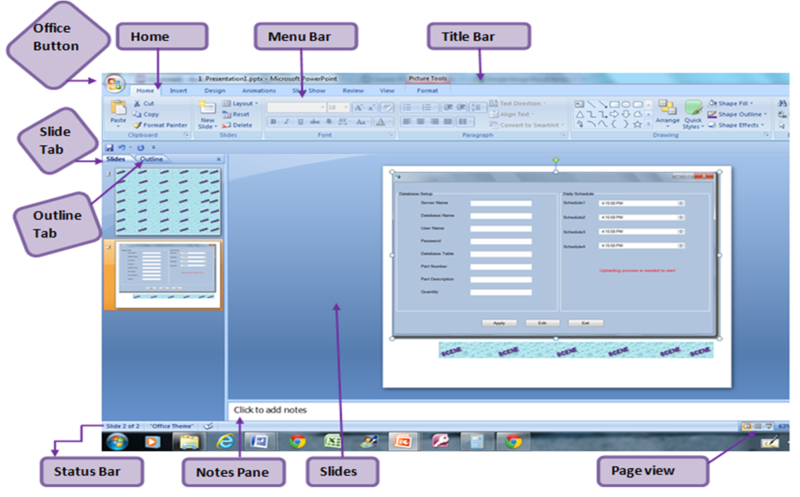 The slides that you create by using the PowerPoint can also be presented as overhead transparencies or 35mm slides. In addition, you can print audience handouts, outlines and speaker's notes to the slides. You can format all the slides in a presentation using the powerful Slide Master which will be covered in the tutorial. You can keep your entire presentation in a single file- all your slides, speaker's notes, and audience handouts.